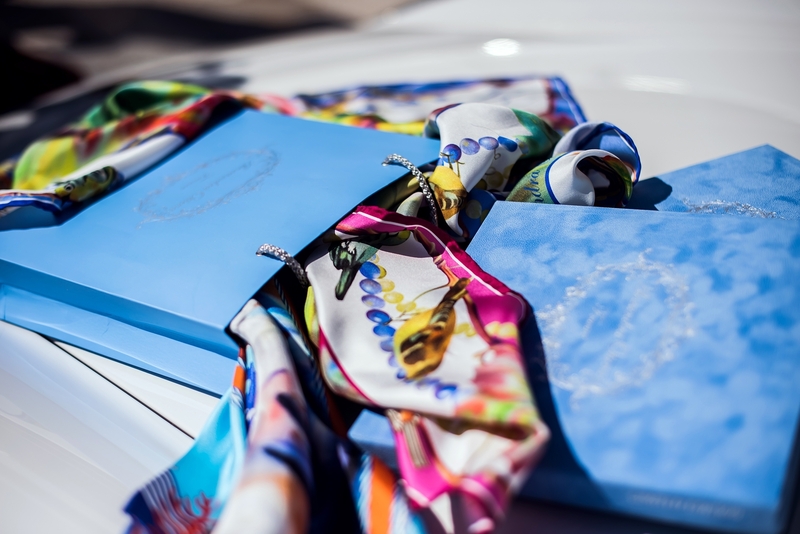 The luxurious monaco blue colour of the scarf attracts the attention. Deposits of gemstones - topazes, emeralds, diamonds and rubies are fascinating. 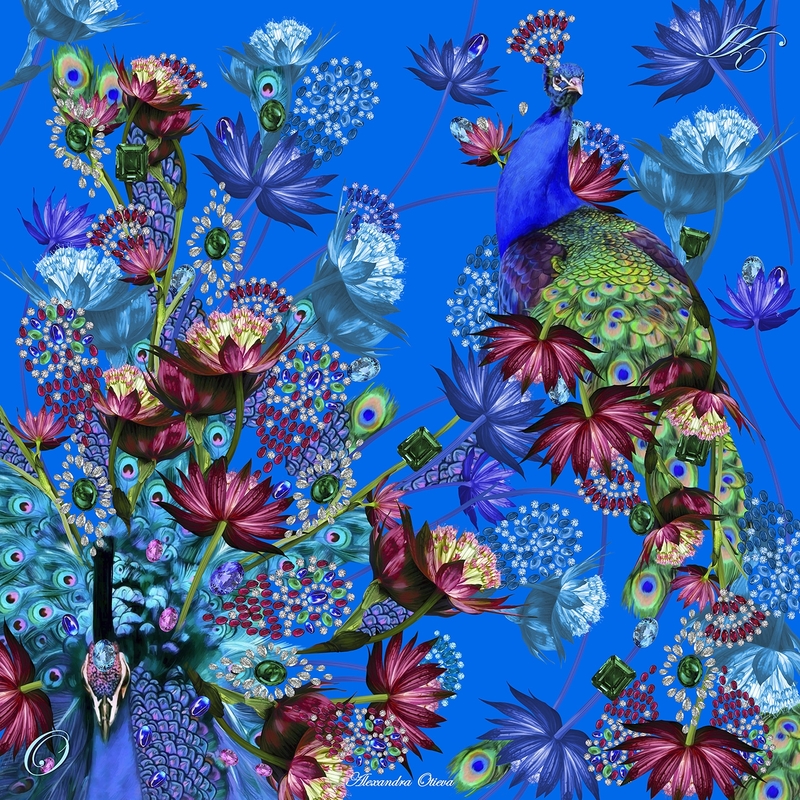 Two peacocks have proudly taken their places in the design of this chic scarf. One can keep looking into the picture for a long time, enjoying the colours and yielding to the temptation to have such scarf in order to look mysterious and unique when wearing it. 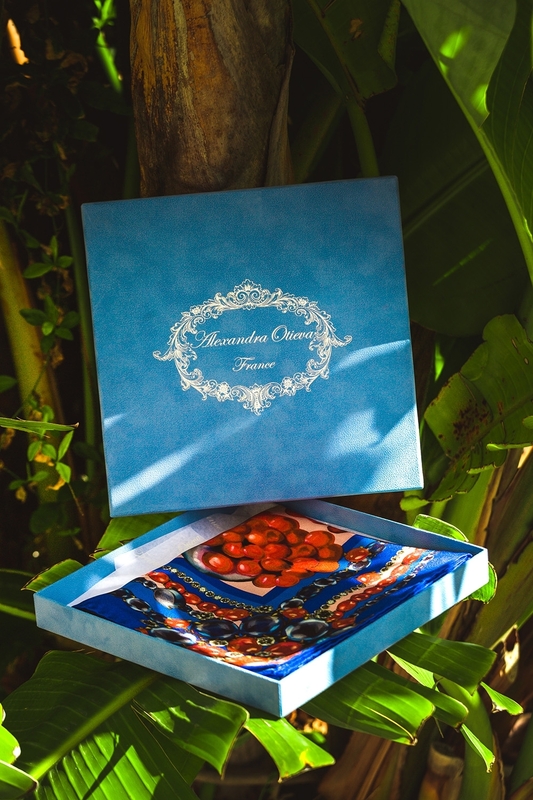 Beautiful flowers combine the composition of precious stones and amazing peacock tails.